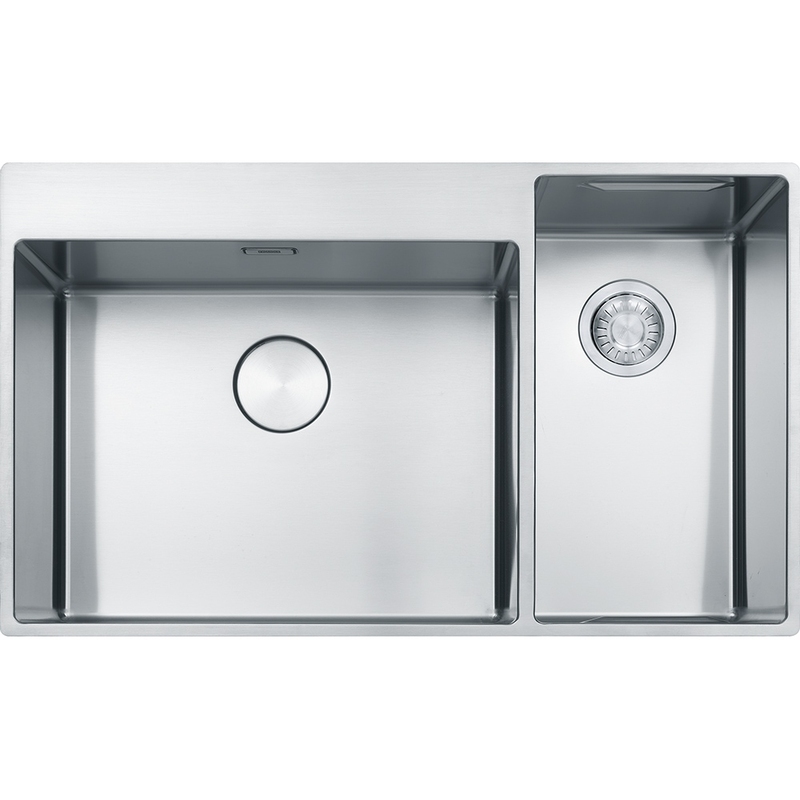 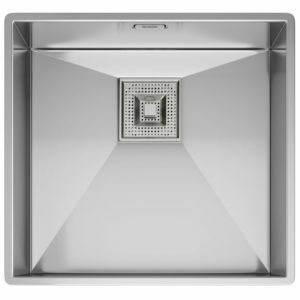 The Box Centre inset sink is ideal if you love organisation and maximizing your kitchen storage. 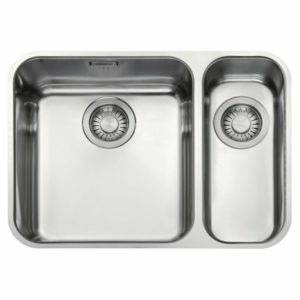 There is one full size and one half size bowl totaling 1.5 litre capacity. 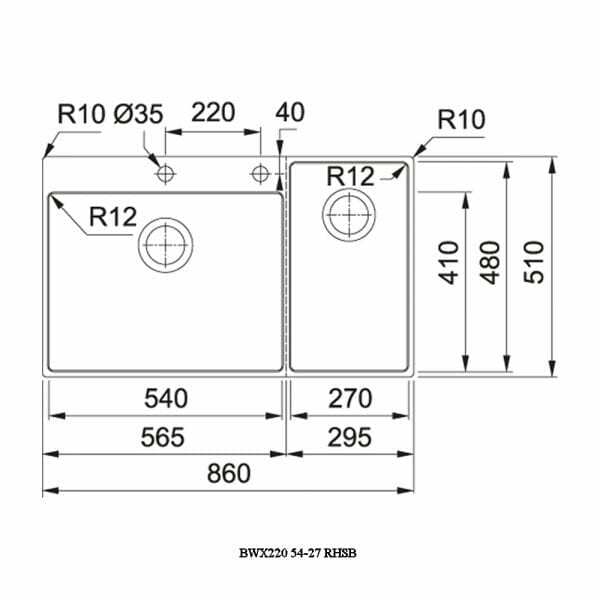 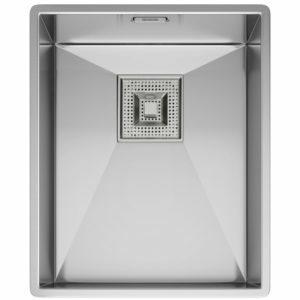 The brushed stainless steel finish is durable and easy to maintain. 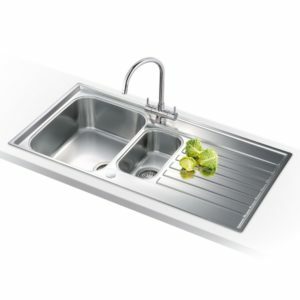 The smaller bowl on the right hand side is able to neatly store all of the accessories that come with the sink as standard. 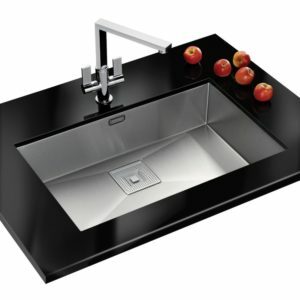 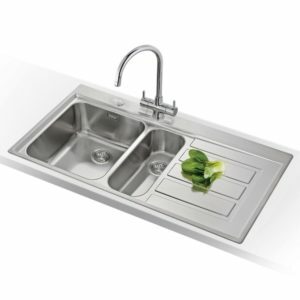 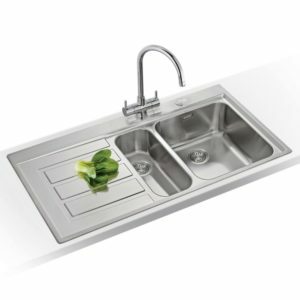 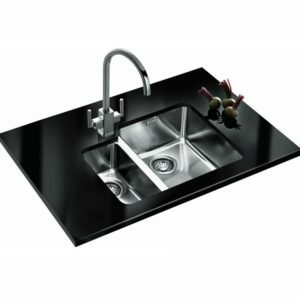 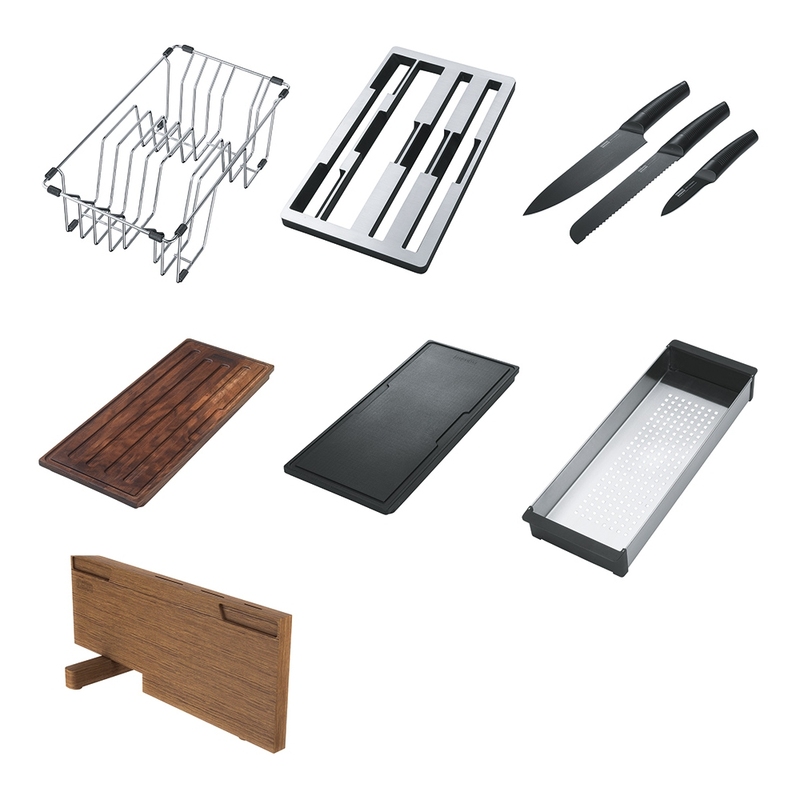 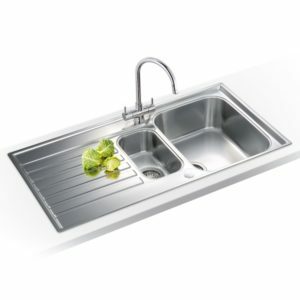 Accessories which accompany this sink include; a chopping board, knife set and and knife holder, a food preparation platter and a stainless steel strainer bowl, plus more! 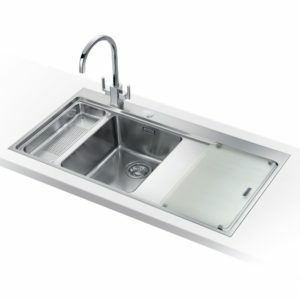 The smaller bowl provides you with maximum flexibility as you can use it as another work surface, sink or storage unit. 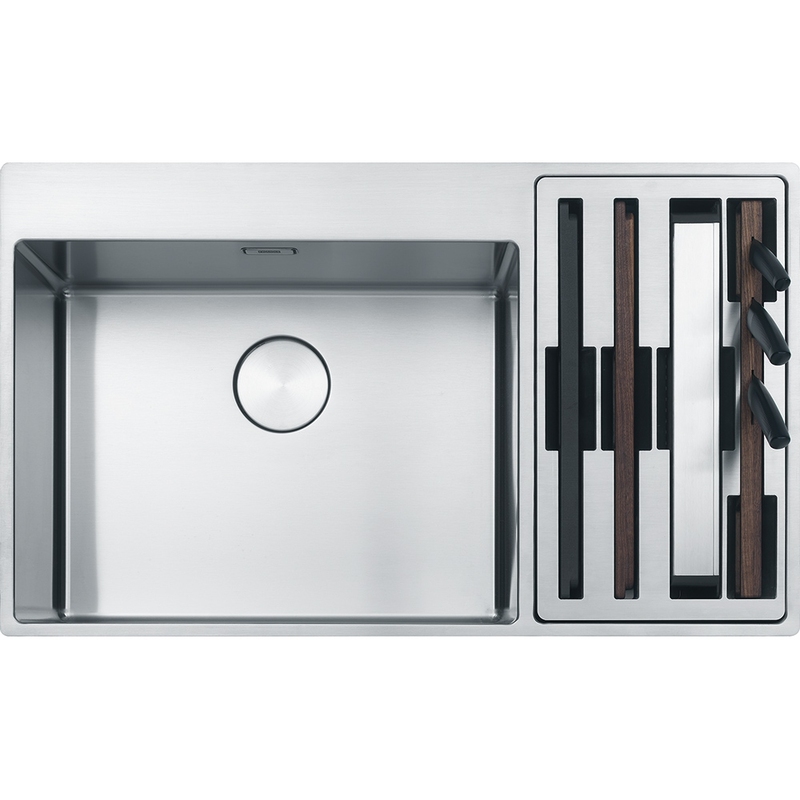 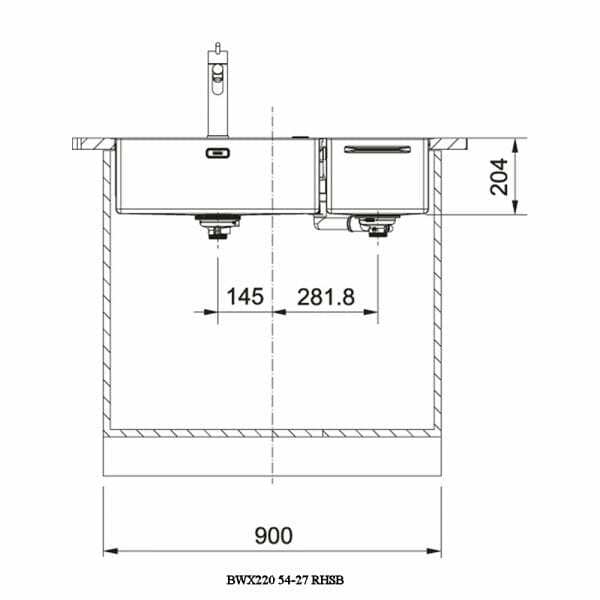 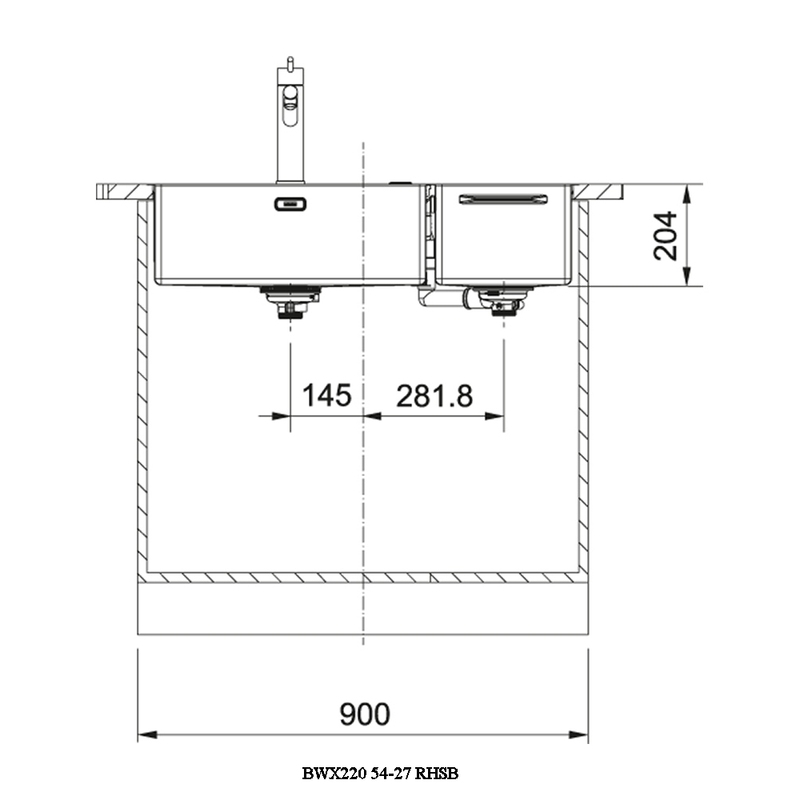 Whatever you use it for, the Box Centre is definitely a smart addition to any kitchen.